Naresh Vissa is Founder and CEO of Krish Media & Marketing – a full service online and digital media and marketing agency. He has worked with leading publishers, media firms and institutions such as CNN Radio, JP Morgan Chase, EverBank, The Institute for Energy Research, Houston Rockets, Houston Astros, the American Junior Golf Association, Agora Publishing, and Stansberry Research. 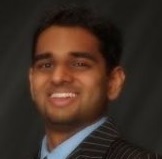 Get Ready To Be Inspired By What Naresh Has Accomplished Online. Naresh helped launch an online radio network generating six-figures in monthly revenue. He managed the production and marketing for the first online retail physical precious metals trading platform. He’s a #1 bestselling author of PODCASTNOMICS: The Book Of Podcasting… To Make You Millions and has been featured on USA Today, Yahoo!, Bloomberg, MSNBC, Huffington Post, Business Week, MSN Money, Business Insider, India Today, and the Hindustan Times. He was also the Director of Media Strategy at the largest private and independent financial publisher in the world. Get Up Close & Personal with the CEO and FOUNDER of KRISH MEDIA & MARKETING. Pick up free tips and advice to be used for your online business. Need to get your online strategy organized and in order? Digital Wealth Creator Naresh Vissa responds in an in depth look at today’s online marketplace. This entry was posted in Author, B2B, Business Growth Expert, Business Strategist, CEO, Digital Author, Digital Brand Creator, Digital Publisher, Economy, Internet Marketers, Online Marketers, Online Personality, Sales Strategist, Uncategorized and tagged Author, B2B, Digital Brands, Digital Empire, Income, Income Online, Instructor, Marketing, Mastermind, Money, Naresh Vissa, Online Income, Online Personality, Product Launch, Profits, Sales Process, Speaker on March 10, 2016 by ArJay the Digital Professor.